Brian and Tarpe Mills – Side by Side Comparison. See? She is never far from my mind. 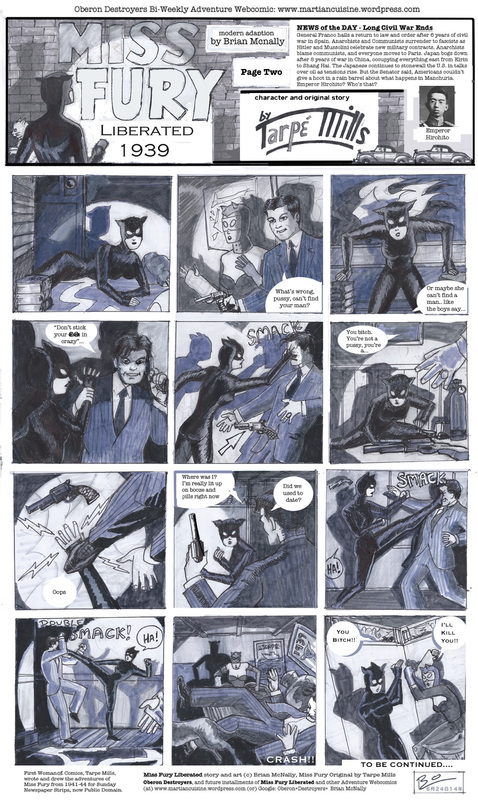 These are side by side comparisons of Miss Fury by Tarpe Mills, and my adaption – Miss Fury Liberated, 1938. In US Copyright Office papers, I gave Tarpe Mills a half credit for story, beats, composition and design. This counts as a derivative work making use of material from the public domain, well within the law. But you have to draw it yourself. You have to spend the hours and hours getting it right. 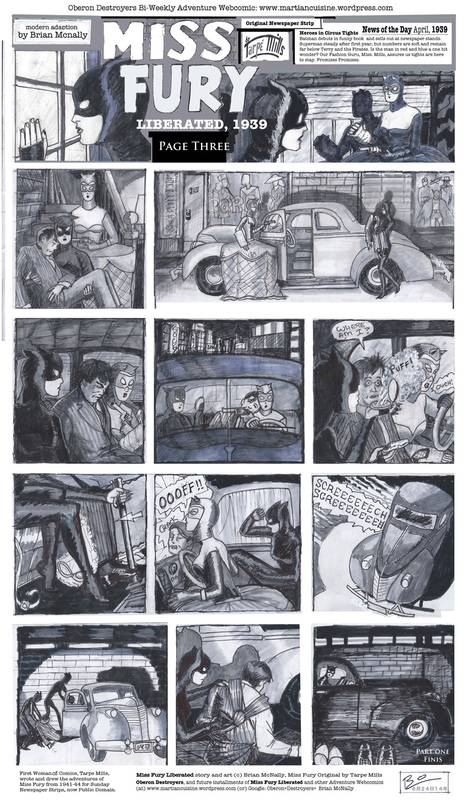 You have to draw two dozen sketches to get one panel, and these pages took me a week to draw (12 panels). People see the human hand in the drawing. They know digital when they see it. Black and White Pages you see here by me are © Brian McNally. 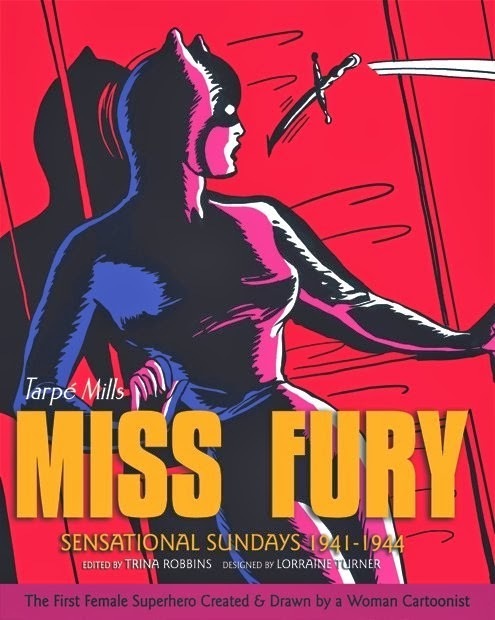 Color pages from the collection Tarpe Mills Miss Fury, Sensational Sundays 1941-1944, edited by Trina Robbins, published by IDW, now on sale. Pick it up!!! No Tricks, No Tracing paper (don’t like the texture), No Xerox Copy machines. Open attribution to the true source, Tarpe Mills. Adaption, not a copy, because I changed half of what I found in Tarpe Mills’ work.